Kylie Cosmetics Creme Shadow + GIVEAWAY! Kylie Jenner launched a limited Birthday Edition collection of items a couple weeks ago. I had my eyes on the Creme Shadows. These creme shadows come in Copper and Rose Gold. I was a little skeptical because creme shadows can be a hit or miss. Will they crease? Will they have good color pay off? Will they last all day? When I opened these up, I was very pleasantly surprised. The pigmentation on these shadows are UNREAL. Seriously, a little goes a very long way. Also, they stay on the eyes all. day. long. 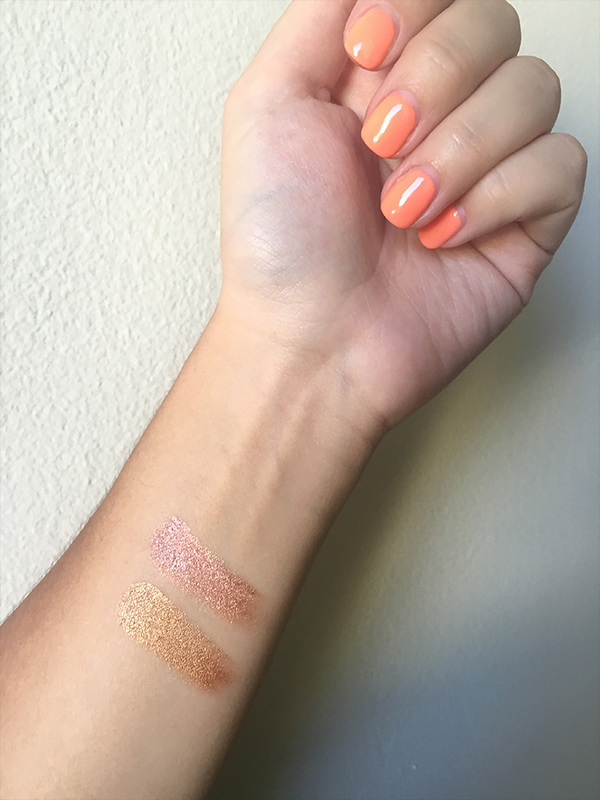 Below are swatches of the two shades, Copper on the bottom and Rose Gold on top. As you can see these metallic shadows really pop. They are also waterproof. I tried washing off the swatches with water and soap and they would not budge. I had to scrub it off with some makeup remover wipes. I was really nervous about how these would wear all day. However, on the eyes these look amazing and last all day without creasing. The Copper is a little more orange based, while the Rose Gold is more pink. Both of these shades are extremely beautiful. I’ve worn both of these shadows all over the lid, adding a little brown in the crease for the perfect day look. I can’t wait for Kylie to release more creme shadows because these are seriously the bomb.com. Lucky for you guys, I picked up an extra one of each color! I will be giving away one of the creme shadows to you guys! All you have to do is subscribe to my newsletter and Instagram using the giveaway widget below! 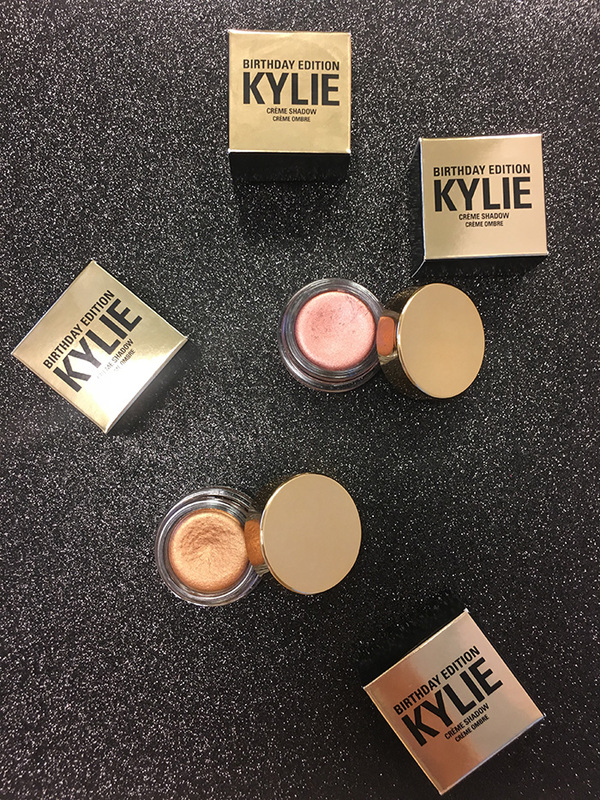 One winner will get to choose the creme shadow of their choice! Good luck!